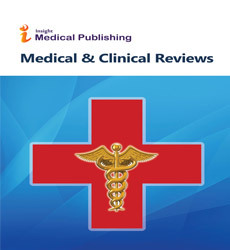 Medical and Clinical Reviews is the open access journal under Creative Commons agreement. It is the property of Insight Medical Publishers and its content may not be copied or emailed to multiple sites or posted anywhere without the copyright holder's written permission. However, users may print, download, or email articles for individual use. Use of Creative Commons License enables contributors/researchers/authors/editors to retain copyright of their work. Publications can be reused, redistributed and can be used for knowldge dissipating purposes as long as the original author is correctly attributed. Copyright © 2015 www.medical-clinical-reviews.imedpub.com All rights reserved.